Our CSAS Accredited Traffic Officers are authorised to direct, hold and restrict traffic movements on the public highway, this may include enforcing road closures. 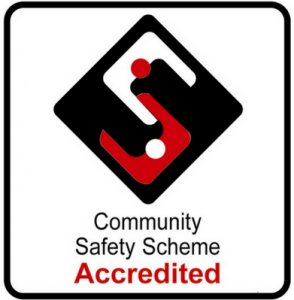 Right Guard Traffic Management Services are approved under the Community Safety Accreditation Scheme (CSAS), enabling our traffic management operations to be supported with a greater dynamic approach, which enables instant problem-solving. We can arrange and supply your traffic management signage in a variety of sizes and frame combinations to meet your event specification, including Highways criteria and event specific signage. Here is a viral video clip from one of our traffic management deployments, please see for yourself. 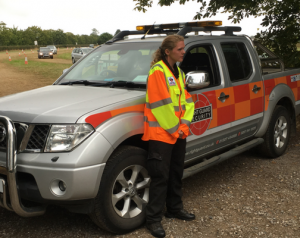 The CSAS qualification is a requirement for many police forces and local authorities for operatives working on the public highway, particularity those enforcing dynamic traffic management. Our accreditations include Chapter 8 Street works. Right Guard Security is an ACS approved contractor and CSAS Accredited for Traffic Management.